Summer is almost here and it’s time to start thinking about childcare for the break. 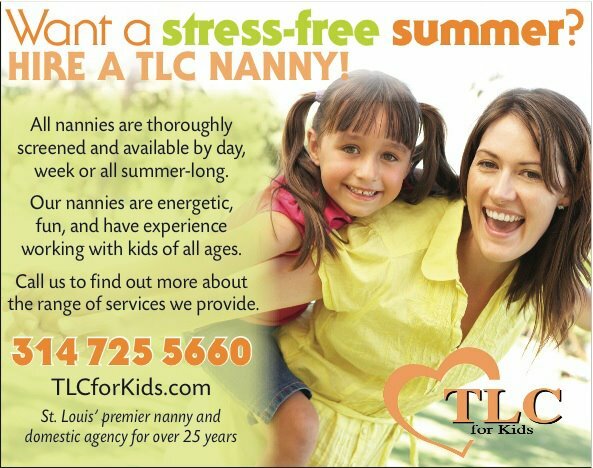 TLC for Kids have great nannies ready to work this summer. All of our nannies are experienced, screened and excited about playing with your kids this summer! TLC summer nannies will explore the city with your kids. They will go to the Zoo, the Science Center, the pool, and all sorts of fun places. Contact us today to start your summer nanny search. Ask us about the Early Bird Special!! 1. Cut & Paste a Caterpillar as Long as Your Name. All you need for this activity is construction paper, pipe cleaners, markers, crayons, scissors and glue. Depending on the age of the child you are working with, you can draw circles for the child to cut out or they can draw and cut on their own. During the activity, talk about how caterpillars turn into butterflies and other insects that we see when the weather warms up. This activity will help with fine motor movements, learning their name and letters, and you can practice counting by counting the circles of the caterpillar. 2. Paint a Windsock. All you need is washable paint, construction paper, streamers, and a stapler. Have your children paint on a piece of construction paper, and then use a stapler to turn the paper into a cylinder-like shape. Then, you can either have the children glue streamers to the paper or you can staple them yourself. Hang the windsock outside to see how it moves or the children can run with the sock to create movement. This activity is a great sensory activity, promotes fine motor movement, and gross motor movement if you allow the children to run with their sock. 3. Create a Sun Catcher. All you need for this activity is contact paper, adhesive foam paper, tissue paper, scissors, cupcake wrappers, and water paint. Depending on the age of your child, you can trace flowers on the adhesive foam and the contact paper and have your child cut the flowers out themselves. Then put the foam flower onto the contact paper. Now your child can take the tissue paper and fill the flower however he or she chooses. For the center of the flower, your child can use the cupcake wrapper and add color by dipping it into the water paint. All that’s left to do is stick the flower to the window. If your child isn’t interested in flowers, be creative with the foam and contact paper and trace animals instead. This is a great sensory activity and promotes fine motor skills. For more ideas, check out the TLC for Kids Pinterest page.